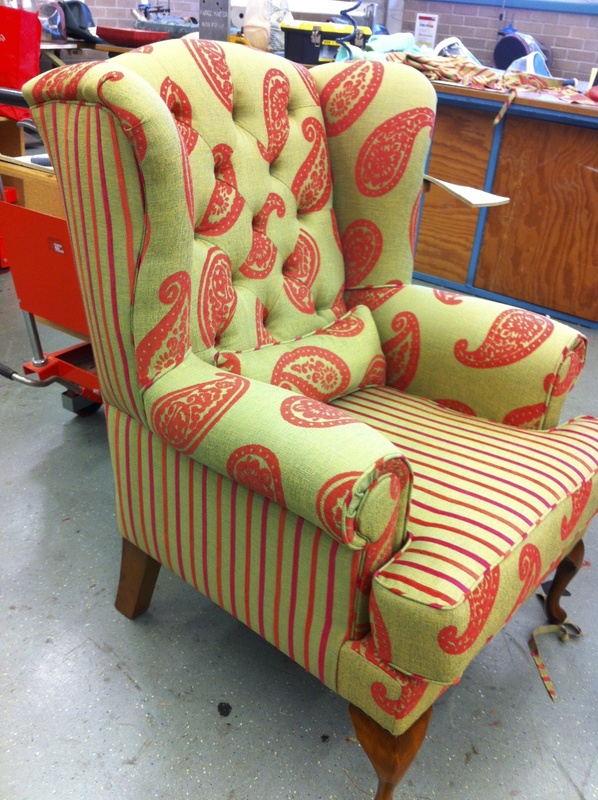 My client wanted a wingback chair for her formal lounge but with a contemporary look. I managed to find this great paisley fabric with a matching stripe – she loved it. Looks fab with her other lounges which are in a dark leather. 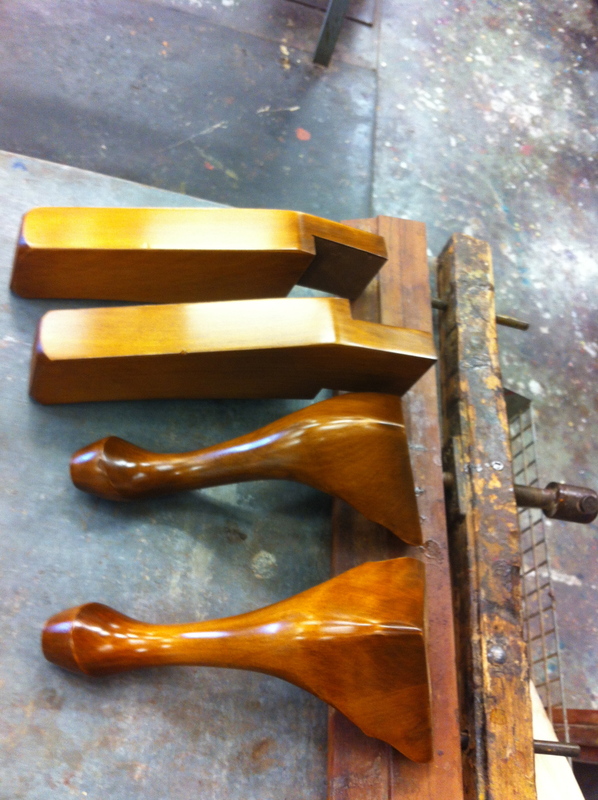 To finish the chair off I hand polished the legs to get a warm, golden, antique look. That’s a bold work-over! Fresh accent piece – nice. Thanks – yes a bit out there but the client loved the colours and patterns – it brighten ups their formal lounge and looks great.